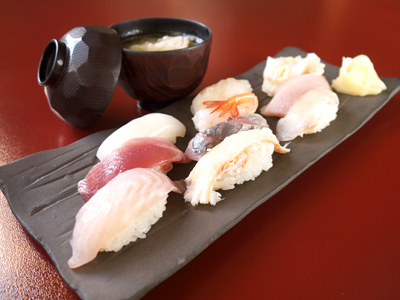 The popular Shiroebi-don is a rice bowl lavishly filled with glass shrimp for you to enjoy. The Kanichirashi-don (crab chirashi rice bowl) with tomalley is on the hidden menu, but you can order it on the day you walk in without a problem. Fish-head soup is also complementary with any order during lunch time!